A Ground is a product that provides a desired surface on which to paint. Grounds can provide a surface to apply pastels, watercolor or other products. 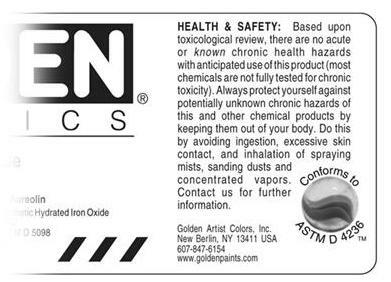 GOLDEN makes two specialty grounds: Absorbent Ground and Acrylic Ground for Pastels. Absorbent Ground is applied to any gessoed support and mimics the absorbency of watercolor paper. Acrylic Ground for Pastels contains a gritty solid to allow pastels and other drawing media to adhere to the surface. Many other GOLDEN products can be used as effective grounds.